A Visit from O̶l̶d̶ Deal Saint Nick. In the 1970s, long before YouTube and when TV recording was in its infancy, the Macy’s Thanksgiving Day Parade Santa Claus dropped his pants on his way from the sleigh to Macy’s front door to kick off the Christmas season. But at least Santa didn’t drop dead. Shelf Barker, the world’s most unlikely British P.I., is called in by his wife’s cousin, a mob boss in Brooklyn, NY, to find out who killed the Carroll Gardens Community Center’s Santa Claus. Naturally, Shelf brings his wife, Polly–an Italian-American relocated to the UK–and his ex-wife, The Cobra, a British lady of both brains and beauty, who is now Polly’s best friend. 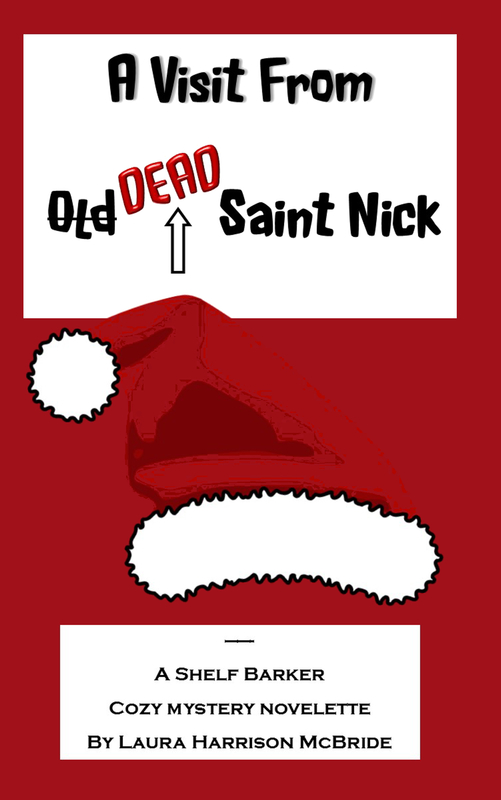 To find out why Santa went to the North Pole in the Sky at the annual Knights of St. Nicholas Christmas Party, Shelf and Co. find themselves in half a dozen weird situations, and meet a cast of characters you can only find where the old world and the new world meet. They get punched and kicked by a junior Mafia wannabe, and survive an interview with an Italian witch, all while doing their best to cope with an excess of luscious Italian food. Just in time for a merry Christmas, they solve Santa’s untimely death in a way that magically makes everything all right.